An important goal of the workers’ compensation system in North Carolina is to quickly return injured workers back to gainful employment. Ideally, the worker can return to full-time, full-duty work in his or her prior occupation. But often permanent restrictions related to the workplace injury make this impossible. In these situations, vocational rehabilitation, or “voc rehab,” can play an important role in returning an injured worker to gainful employment. Vocational rehabilitation in North Carolina workers’ compensation claims is regulated by North Carolina General Statute § 97-32.2, and Subchapter 10C of the Rules for Utilization of Rehabilitation Professionals. Together these provisions set the ground rules for voc rehab for NC workers’ compensation claimants. The North Carolina Industrial Commission decides any disputes that may arise between the injured worker and the employer that relate to vocational rehabilitation efforts. identifying suitable job opportunities in the job market as well as specific job leads. It is the job of the voc rehab professional to provide these services, within the framework provided by North Carolina General Statute § 97-32.2, and the Rules for Utilization of Rehabilitation Professionals. When is Vocational Rehabilitation allowed? An employer can begin vocational rehabilitation services at any time during an accepted workers’ compensation claim. An employer cannot require vocational rehabilitation in a denied claim. Certain severely injured workers may not be required to participate in voc rehab if they are receiving disability benefits beyond 500 weeks under G.S. §97‑29(c), or have been determined to be permanently and totally disabled pursuant to or G.S. §97‑29(d). An employee can request vocational rehabilitation services when he or she has not returned to work, or has returned to work making less than seventy-five percent (75%) of what he or she was making before the injury. An employee’s request can include training in the North Carolina community college or university system so long as the training is likely to improve the worker’s wage-earning ability. Vocational rehabilitation services continue so long as they might be beneficial to the worker and the employer is willing to pay for it. The Industrial Commission has the authority to order vocational rehabilitation to continue or be terminated. Who can provide Vocational Rehabilitation services? Vocational Rehabilitation services in North Carolina can only be provided by a qualified vocational rehabilitation professional approved by the North Carolina Industrial Commission. There are strict rules governing who can qualify as a vocational rehabilitation professional in North Carolina workers’ compensation cases. The Industrial Commission keeps a list of qualified voc rehab professionals. Generally, a vocational rehabilitation specialist must be hold on of several specific certifications, have at least two years of experience working with disabled workers, and complete a special course in North Carolina workers’ compensation case management. Vocational rehabilitation professionals must attend continuing education classes in to remain qualified, and must follow the ethics rules and laws of their own occupation. What are the guidelines for a Vocational Rehabilitation Professional? The employer or its workers’ compensation insurance company makes the initial selection of the vocational rehabilitation professional, and pays for vocational rehabilitation in the same way it pays for medical treatment. The insurance carrier should notify the Industrial Commission when a vocational rehabilitation professional is retained. Although the employer selects the initial vocational rehabilitation professional, they are to use their own best independent judgment in their work. Voc Rehab professionals are not agents of the employer. Vocational rehabilitation professionals should not give legal advice to the injured worker about any aspect of their claim, engage in settlement discussions between the parties, or assist the employer in investigating the claim. At their initial meeting the vocational vehabilitation professional should provide the worker a copy of the rules that govern vocational rehabilitation, and advise the worker that the VR professional will share relevant information from the rehabilitation process with the employer. If the injured worker has an workers’ compensation attorney the initial meeting must be at the attorney’s office if requested. The vocational rehabilitation professional should prepare regular reports of vocational activities and share these reports with the employer and injured worker at the same time, or at least let the injured worker know the report is available for review. The reports should contain only information relevant to the rehabilitation process, and not information simply intended to embarrass the worker or make him or her look bad. A vocational rehabilitation professional should refer an injured worker only to suitable work, and should end the rehabilitation process when it is not likely to be successful. Either the employer or employee may ask the Industrial Commission to replace the vocational rehabilitation professional for good cause. What is an Individualized Vocational Plan? The first step in vocational rehabilitation is developing a return-to-work plan that is tailored to the needs and circumstances of the injured worker. Developing the plan should be a cooperative effort among the voc rehab professional assigned to the case, the injured worker and the employer. This should include a face-to-face meeting between the vocational professional and the injured worker. self-employment, only when its feasibility is documented with reference to the employee’s aptitudes and training, adequate capitalization, and market conditions. What happens if the employee refuses to cooperate with Vocational Rehabilitation? An employee is required to participate in vocational rehabilitation when it is offered. If the employee refuses to cooperate with vocational rehabilitation the Industrial Commission can order the employee to comply. If the employee continues to refuse to cooperate, and the refusal is unjustified, then the Industrial Commission can suspend the employee’s wage replacemen benefits. The Industrial Commission must say in its order suspending benefits what action the employee should take to end the suspension of benefits. A vocational rehabilitation professional who believes that an injured worker is not cooperating with vocational efforts should document what the worker should do in order to return to compliance. Few injured workers simply refuse to cooperate with vocational rehabilitation. More often, workers will object to what they see as unnecessary or even silly vocational activities. These may include the vocational counselor requiring too frequent meetings, application for jobs the employee is not physically or otherwise qualified for or that are not suitable, and even participation in volunteer activities. Many times, the vocational rehabilitation professional and the injured worker struggle to effectively communicate the date, time and place of meetings, leading to missed appointments and allegations that the employee is not cooperating. What is the Role of a Lawyer in Vocational Rehabilitation? Vocational rehabilitation can tricky for an injured worker. A North Carolina Workers’ Compensation lawyer can help keep things on track. While voc rehab should be a team effort with the goal of helping the injured worker return to a suitable job, it can turn into a game of “gotcha” with the goal being to terminate the employee’s wage replacement benefits. Sometimes vocational rehabilitation is used to prod an injured worker to settle their NC workers’ compensation claim. The role of a lawyer in vocational rehabilitation is to be sure everyone follows the rules and to help ensure a smooth process. A workers’ compensation attorney should stay closely involved in the vocational rehabilitation process. This includes attending the initial meeting between the injured worker and the vocational professional, regular communication with the injured worker and the vocational professional, and review of the job leads being submitted to the employee to be sure they are suitable. 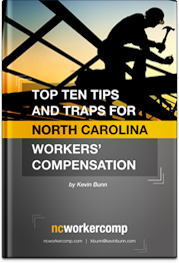 Please call or click for your free consultation with North Carolina Workers’ Compensation Attorney Kevin Bunn. Kevin is a Board Certified Specialist in North Carolina Workers’ Compensation Law.